Seat occupancy sensor emulator for Mercedes ML W163, manufacturing years: 1998-2005, with 3 wired seat occupancy sensor. Rarely there may be 2 or 4 wired seat mat on W163 - this emulator doesn't fit 2 or 4 wired seat occupancy sensor. 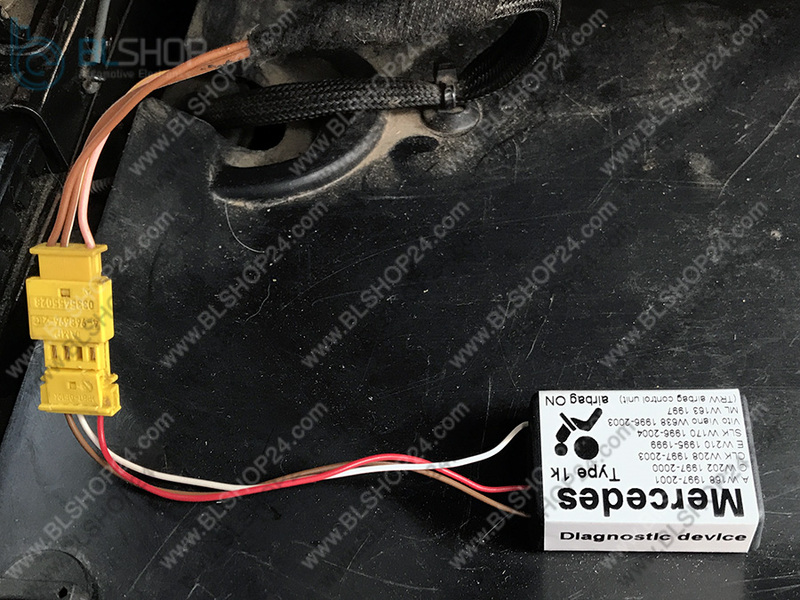 The emulator is equipped with original Mercedes connector - easy installation. The emulator is a diagnostic device which sends to an airbag control unit the same signal as that sent by the seat occupancy sensor while a passenger is sitting. It turns off the airbag indicator (if it is caused by faulty seat occupancy sensor), the airbag works as if the seat was always occupied. The seat occupancy sensor plug has 3 wires - red, brown, white.